Station F is going to be the world’s biggest startup campus. A thousand startups are going to work in this huge building. And Station F wants to partner with the biggest tech companies, such as Zendesk, so that young startups don’t even have to pay to be there. So what does it mean, bringing Zendesk to Station F? First, Station F will be able to use Zendesk as their customer support tool for free. 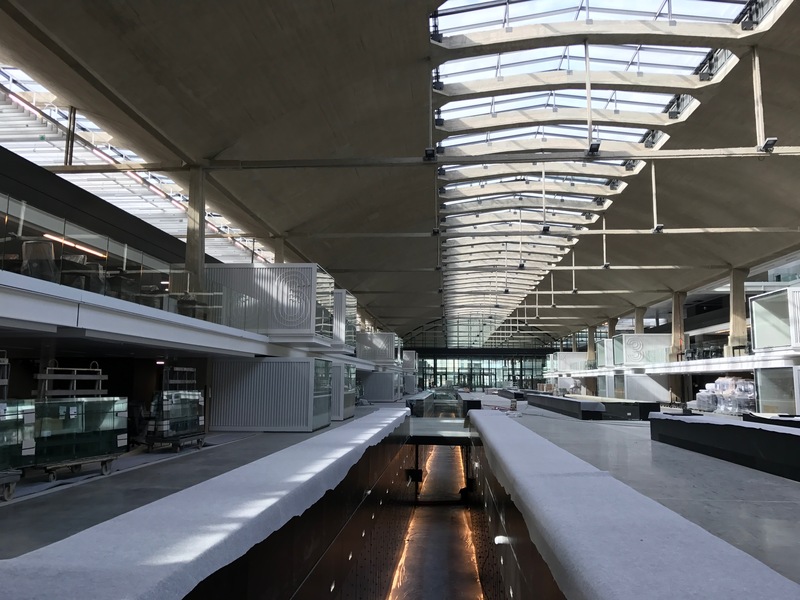 Second, the company’s team in Paris is going to relocate to Station F (that’s 10 people or so). Finally, Zendesk is going to have its own tiny incubator with 47 desks inside Station F. Startups will be able to work there for free. Zendesk already announced a couple of startups that are going to work from its mezzanine inside Station F — SnapCall and Ottspot. Everything seems clear now. While you can pay around €195 per desk per month to enter Station F’s Founders Program, the campus would rather create a community with big tech companies and small tech companies working under the same roof. Zendesk Director of Central and Southern Europe Gabriel Frasconi said that Zendesk isn’t paying a premium to sponsor these 47 desks. So the company is probably paying around €9,000 per month so that startups don’t have to. Station F backer Xavier Niel already said that he doesn’t want to make any money from this venture. Other partners include Facebook, HEC Paris and Vente-Privée. From what I’ve heard, there could be as many as 15 different partners all paying for a tiny chunk of Station F.
In other news, you may remember that Zendesk acquired French startup BIME Analytics for $45 million. And it looks like the company is doubling down on BIME as the team is moving to a new office in Montpellier three times bigger than the old one. “We’ve acquired two startups throughout our lifetime so far and we’ll acquire more. It was fantastic to acquire BIME in Montpellier. It is now the foundation of the analytics tools at Zendesk,” Zendesk co-founder and CEO Mikkel Svane said. “The French tech ecosystem is booming and we’re the proof that we can attract tech companies like Zendesk,” former BIME Analytics CEO and now General Manager at Zendesk Rachel Delacour said. Also, it’s worth mentioning that Svane has promised that he won’t speak on a panel at a tech conference if there are only men on this panel. Other executives at Zendesk took the same pledge. Originally a French initiative, it’s a good step in favor of more diversity at tech conferences and eventually in the tech ecosystem. It’s important to invite inspiring women because conference organizers have a responsibility when it comes to being as inclusive as possible. Making sure successful women get the credit they deserve is going to inspire more women to come and work for a tech startup.